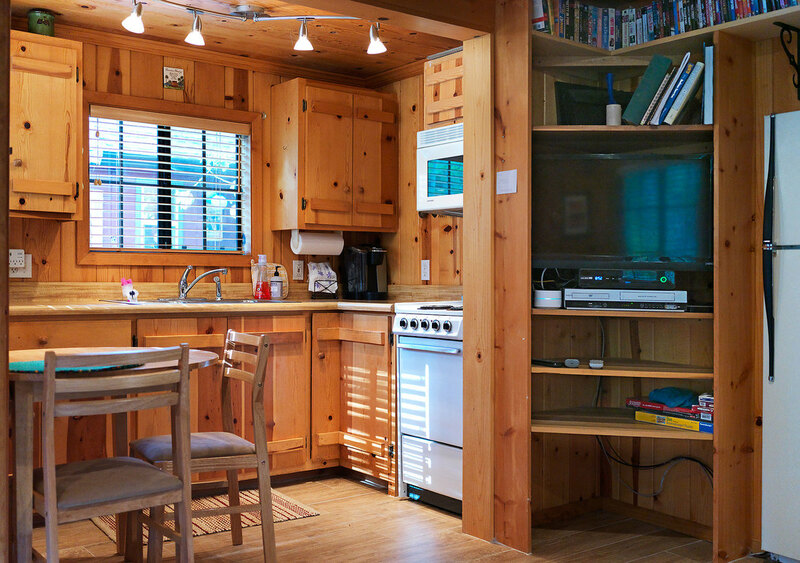 “Hale-Nui” means to “Home of Goodness” in Hawaiian and while we’re miles from the Islands, this quaint 1-bedroom cabin continues to charm its guests with its cozy, Old-Tahoe style and cozy feeling. You’ll enjoy relaxing on the deck in the summer or cuddling next to the wood- burning stove in the winter. 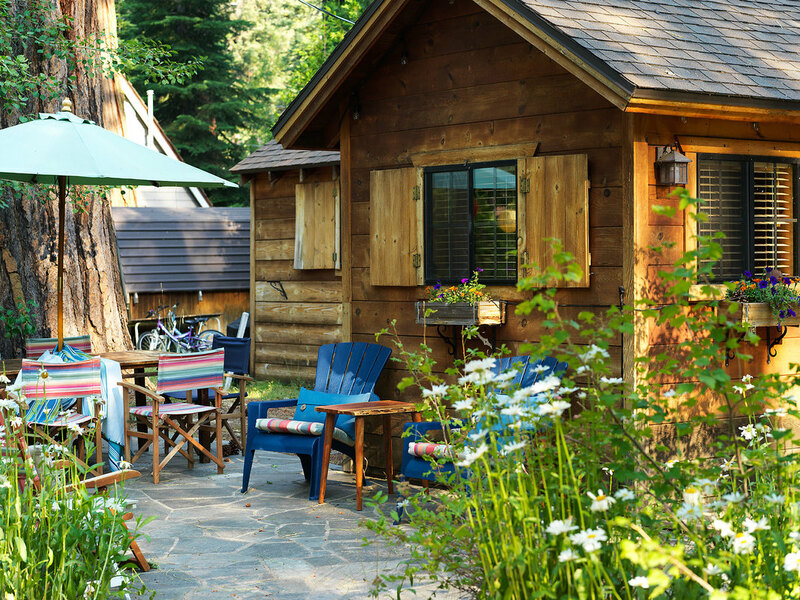 Located Tahoma just 8 miles south of Tahoe City, the cabin is our home away from home. At 435 square feet, you'll love the coziness. West Side Pizza: Walking distance at the end of the street with a good locals happy hour (you have to ask), good pizza, salads, pool table and bars. Long waits during holidays so order early. West Shore: 3 miles away in Homewood. Beautiful amazing on the lake.Expensive but go for a drink / happy hour. Sunnyside: Our go to place about 8 miles toward Tahoe City. On the water. We eat in the bar which is first come, first serve. Crowded in the holidays. BridgeTender: At the "Y" in Tahoe City. Good burgers & salads. River Grill: Nicer restaurant on the river next to BridgeTender. Where we Met: You can get espressos/capuccino down the street as well as gelato. Tahoma Market: Our go to spot is the market down the street for their $2 egg, cheese, ham sandwiches. Firesign: Across from Sunnyside 8 miles up the road is famous for breakfast with long waits at prime time. Tahoe House: A bakery with great coffee, breakfast sandwiches and lunch right before Tahoe City. We go often. Tahoma Pier: Walk down to the pier (no bathrooms so go before) for morning coffee, evening drink on the pier and catch crawdads in the summer. Chambers Landing: A mile up the road with fun beach/bar on the pier. Go for a cocktail. In the winter, worth a walk as it's beautiful. Sugar Pine State Park: Park is behind Tahoma. You can access from 3rd or just walk to the end of 5th Avenue and crawl through the fence. Summer time go through the campgrounds and access the trail to the Olympic Cross country path. In the winter, the camp grounds are a great place to walk or snow shoe. Ehrman Mansion: A few miles south so good for a walk or bike ride with great lake access. In the winter, worth a hike or snow shoe and sometimes sledding on the hill. Meeks Bay: A few miles south with a great beach which is where we always go in the summertime. Emerald Bay: Further south beyond Meeks with hike down to the lake. Not a winter destination. Homewood: 2 miles from our house. Perfect for partial days as super close. Not a great beginner or advanced mountain but perfect intermediate with fun backside and best views of the lake. Northstar: About 45 minutes drive. Best family friendly place if you have non-skiers as great village. Squaw: 45 minutes. Best terrain for variety and advanced skiing with a good village. Alpine: 30 minutes. This is our go to place as great lessons, great terrain, good for all levels. Take 80 thru Sacramento toward Reno. Take the Hwy 89 South exit for Lake Tahoe in Truckee. Head South to Tahoe City for 13 miles. Turn RIGHT at the "Y" / SaveMart to head South on 89 *(label 28 S on some maps) for 8 miles. Turn RIGHT on PINE Street in Tahoma next to Norfolk B&B. Take an immediate LEFT onto Wilson. Take an immediate RIGHT onto 5th avenue. Baby cabin is 7074 5th Ave, about 100 yards up on the right. The rental cabin is 7039 5th Avenue so as you turn on 5th avenue, it's the 2nd house on the left.